This quote by Indian shooter, Anjali Bhagwat, perfectly sums up her career. An exceptionally talented and disciplined sportswoman, Anjali truly made her talent count. She became popular as the only Indian woman to bring home the World Cup. 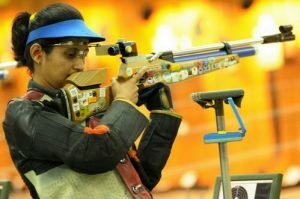 The only Indian shooter to win the Champion of Champion awards, Anjali has numerous great records on her name. 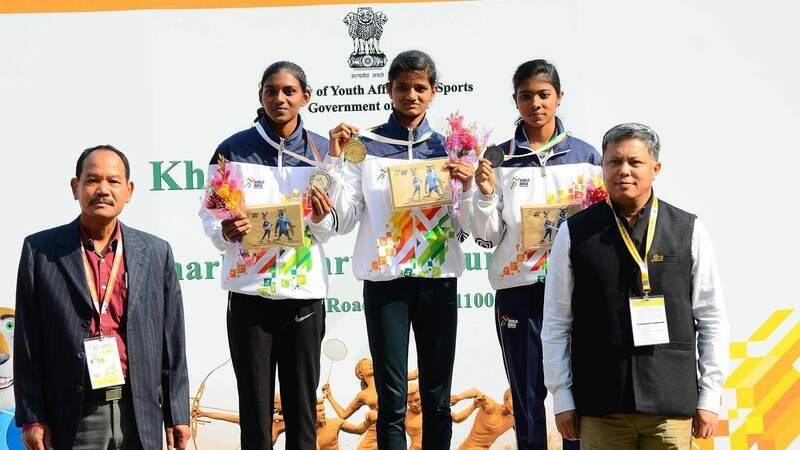 The talented youngster who turned into a focused athlete has captured the imagination of the entire nation. She has inspired young girls to chase their dreams and pursue a career in sports. What makes Anjali’s life story so interesting? Let us find out! Calm, composed, and cheerful, that is exactly how most people will describe Anjali. There has always been a different kind of sparkle in her eyes. She eased into the world of shooting, just like a fish takes to water. Her inborn talent, coupled with immense hard work and focus, enabled her to reach the pinnacle of success. Born and brought up in Mumbai, Maharashtra, as a, Anjali comes from a simple Marathi family. Her mother worked for All India Radio. Anjali has an elder sister and a younger brother. Her sister is also a sports enthusiast. 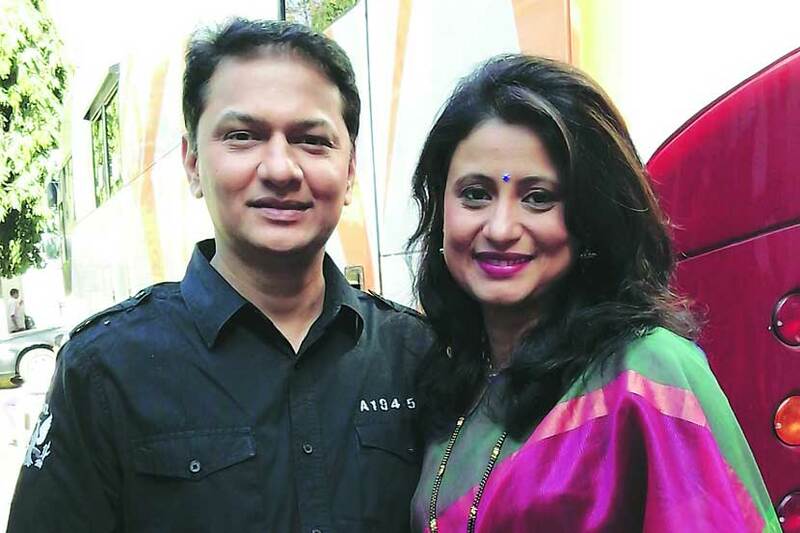 Anjali married Mandar Bhagwat in December 2000. It was an arranged marriage and the couple was blessed with a son in 2010. Anjali’s husband and in-laws have always supported her career choices. They never expected her to fulfil any orthodox role as a daughter-in-law. As soon as they got married, Mandar set a small shooting range on their terrace for Anjali. When Anjali decided to shift base to Pune due to better sports facilities, Mandar fully supported the decision. In an interview with The Sportstar, she appreciated the support of her family and other families who support sportswomen. Anjali was always inclined towards sports. She was inspired by the legendary athlete Carl Lewis. She joined the National Cadet Corps (NCC) when she was in school. She was exposed to various sports through their activities. She started playing judo karate and tried her hand at mountaineering as well. She first started shooting when she was 21. 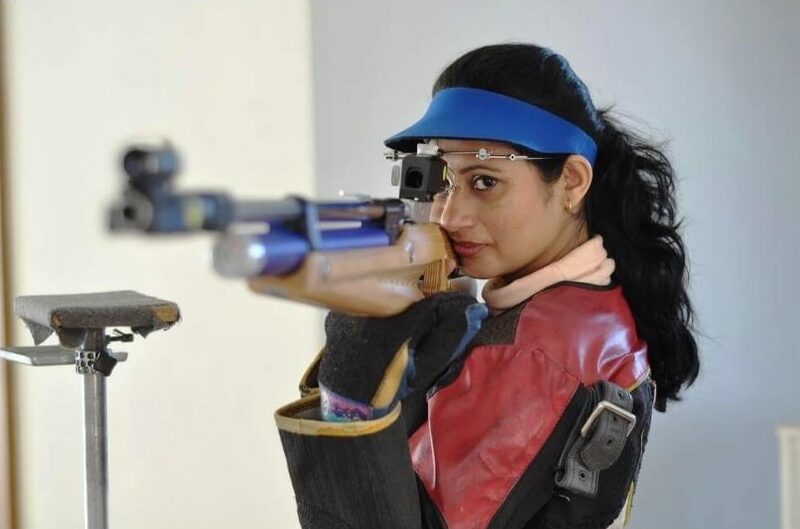 She got into Maharashtra Rifle Association and within just seven days won her first medal! It was a silver medal that she got in the 1988 National Championships. With a stellar start to her career, Anjali found the right guidance through her coach Sanjay Chakravarthy. Through intensive training and dedicated practice, Anjali developed her technique and strengthened her basics. From thereon, she was absolutely unbeatable. In fact, her domestic medal record of 55 gold, 35 silver, and 16 bronze medals is still intact. Also, she won 31 gold, 23 silver, and 7 bronze medals in international competitions, and set 13 new records! 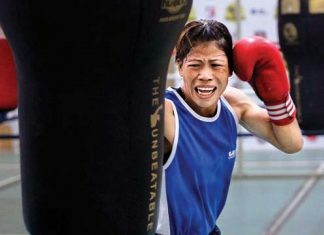 Anjali became only the second Indian woman to reach the Olympics finals in 2000. She has represented the country at three Olympic Games. In 2002, she became the champion of the champions and world number one shooter in the 10m air rifle event. 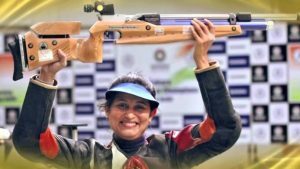 Anjali is the sole Indian to win the ISSF Champion of Champions award. She also won a silver medal at the Munich World Cup 2002 and gold at the Milan World Cup in 2003. Her stellar performances at the Commonwealth Games need no introduction! She has a whopping collection of 12 gold and 4 silver medals. 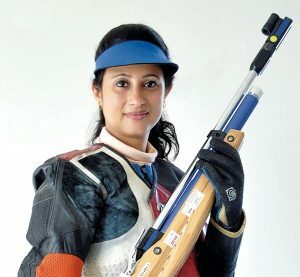 In 2003, she became the first Indian shooter to win a gold and a silver medal in the Sports 3P and Air Rifle events respectively. She achieved this historic feat at the Afro-Asian Games. When Anjali first started playing, the opportunities were fewer. Without proper policies and facilities, most athletes couldn’t rise up to their full potential. Today, Anjali is doing her bit by being an active member of various sports organisations. In an interview with the Hindu, she appreciated the changing sports scenario in India. Actor Nana Patekar gifted Anjali her first shooting kit in 1993. Now, she uses a Feinwerkbau rifle for all her 10m rifle events. She prefers a .22 Walther for 50m events. Anjali has made an appearance on the silver screen as well. She did a cameo in the Marathi movie, Bokya Satbande. Anjali knows how to turn heads off the field as well! She has walked the ramp for celebrity fashion designer, Vikram Phadnis. She diligently follows tennis and cricket. She relaxes by listening to music and loves to travel as well. A self-confessed foodie, Anjali loves tandoori chicken and fish, Wine is her poison. Anjali has been practising yoga since quite a few years now. She believes that yoga has the power to improve a shooter’s performance as it calms the mind and increases concentration. 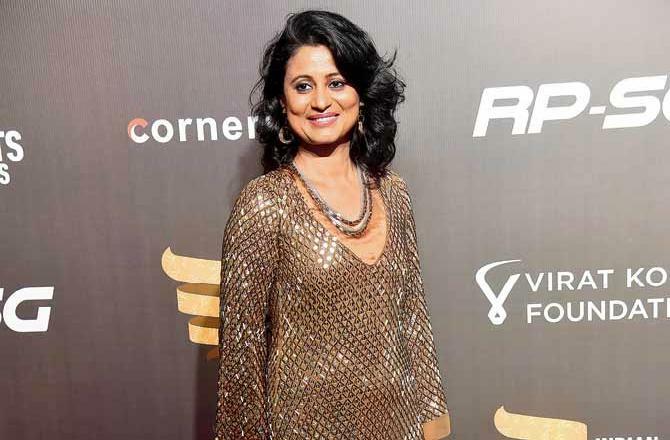 Anjali Bhagwat played a key role in India’s bid for hosting Commonwealth Games 2010. She was part of an illustrious panel on CNN-IBN during the games. Time and again, Anjali has taken part in initiatives to promote sports in India. She has been teaching blind students and has been a part of events organised by Sahara and Reliance. Anjali was given the Sports Journalists’ Federation of India’s (SJFI) honorary membership. “I am an achiever, but you guys have made me a celebrity,” she said at the event. Currently, Anjali is working as an Inspector in the Central Industrial Security Force. Anjali has explored multiple facets of her personality through various activities. She has always been vocal about issues plaguing sports. Today, she is training six shooters in Pune at her own shooting range. It is extremely heartening to see champions building out the future champions of our country! Anjali has been a pioneer in the field of shooting. She has inspired an entire generation of women to take up shooting. It is important to remember our teachers. Anjali has time and again appreciated her mentors. Sanjay Chakraborty has played a crucial role in shaping her career. Here, she is celebrating his 75th birthday with fellow shooters.